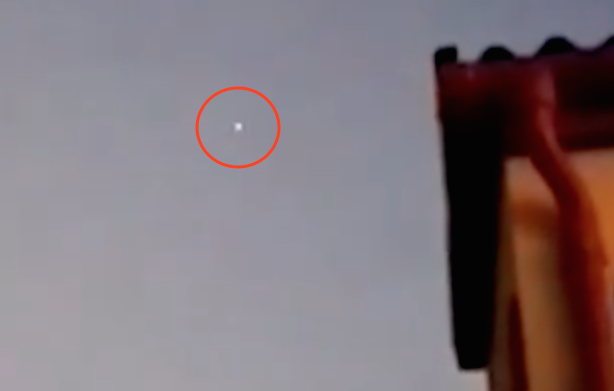 UFO SIGHTINGS DAILY: UFO Caught Over Chatsworth, UK On May 2016, Video, UFO Sighting News. UFO Caught Over Chatsworth, UK On May 2016, Video, UFO Sighting News. I love how this video catches the movement of the UFO. Its not often you get to see one move around without the camera bouncing up and down. This object moves smoothly across the sky and seems to be illuminated by the moon light. Our country is no stranger to unidentified sightings and unexplained lights in the sky. For months now random alleged 'extra-terrestrial' activities have been reported and this footage is the most bizarre from KZN. A teenage girl from Chatsworth - Mechille Mudaly, filmed what seems to be a bright light in motion in the sky around. At a glance it seems like a street light, but when you look closer - you notice that the bright light gets brighter and it's moving.